Windows 8.1 brought in a lot of new features to windows 8 , the most notable being the addition of a new start button to the desktop . Apart for that there are many more less noticeable changes within windows 8.1 . If you are new to windows 8.1 , then adapting with the new OS might take some time for you . To help you understand and know more about the new windows 8.1 , Microsoft has released the official product guide for windows 8.1 . The Windows 8.1 Product Guide gives you an in-depth tour through the many new and improved features in Windows 8.1 and Windows RT 8.1. 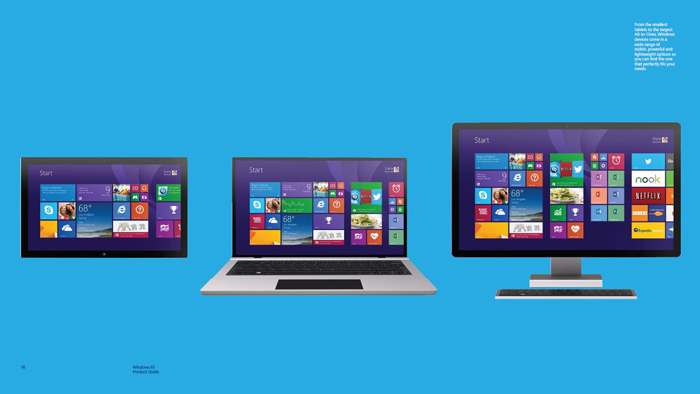 The Official windows 8.1 product guide can be downloaded freely from the link . If you are new to windows 8.1 , then the windows 8.1 product guide is something you must read to know more about the new Windows 8.1 operating system .